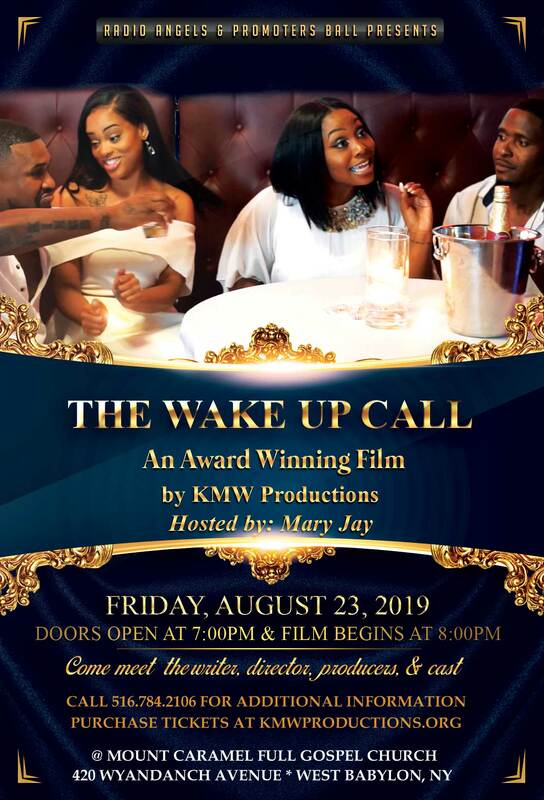 The Wake Up Call is an award winning- faith-based film inspired by real life choices and conflicts of Christians today. Stacy is a young woman who was born and raised in church, and greatly involved while living a double life. Frank, her boyfriend, is from the streets. Stacy spends most of her Sunday mornings praying for Frank to attend church services with her. Her prayers are finally answered, but her life is turned upside down. Be careful what you pray for because God just might give it to you! The Wakeup Call film is on tour and our next stop is West Babylon, NY!!! The film is premiering ONE NIGHT ONLY at Mt. Carmel Full Gospel Church, as part of the annual Radio Angels & Promoters Ball hosted by Mary Jay, on Friday, August 23rd @ 8:00pm. Doors open at 7:00pm. Come join us and meet the writer, director, producers, & some of the cast. Seating is limited, so get your tickets before they’re gone!!! 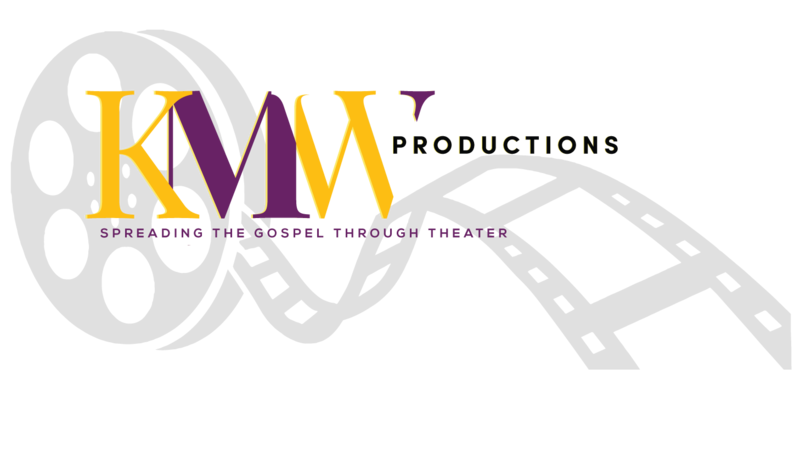 KMW Productions, LLC is a Christian-based theatrical organization whose mission is to enrich the lives of our Encouragers by spreading the uncompromising word of God through live theatrical performances and films. Get the latest news and show updates by subscribing today! © 2018 KMW Productions LLC. Designed by Howard Creative Co.